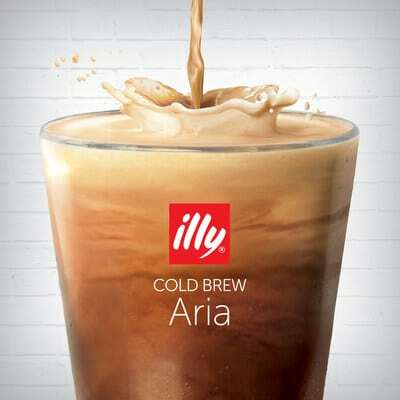 Illycaffe has introduced its illy Cold Brew Aria, a tap handle with an embedded adjustable valve that turns cold brew with bubbles, commonly called “nitro cold brew,” into an even richer-tasting and effervescent experience for coffee lovers, and easier for on-premise venues to offer. The tap handle-mounted valve draws in ambient air, requires no bulky gas tanks and is offered exclusively for use with illy cold brew made from the brand’s legendary Classico blend, comprised of nine distinct Arabica coffee beans from different countries, produced and sourced to deliver sustainable quality and a premium profit for farmers meeting illy’s industry-leading standards. The patent pending valve that is the heart of illy Cold Brew Aria system captures ambient air – already 78 percent nitrogen-rich, by nature – that is immediately infused at high pressure into illy cold brew coffee as it’s dispensed. The illy Cold Brew Aria is the first-ever system that infuses ambient air into coffee to create a “nitro effect” without the use of space consuming nitrogen tanks or air compressors. The illy Cold Brew Aria valve is adjustable and able to vary the levels of air and effervescence infused into cold brew, all the way down to no bubbles at all. The net result: illy Cold Brew Aria is the only system that can produce either effervescent or regular cold brew with only one tap handle and one coffee source, saving yet more precious real state behind the bar, in the kitchen or wherever else cold brew can be offered on premise. Illycaffe ‘s other new innovation, Bag-in-a-Box, a 5-liter soft package packaged in a compact box, is filled with illy cold brew, eliminating the need for baristas and other staff to manage and monitor up to 12 hours of preparation. Designed for either tap or non-tap dispensing, when paired with a tap, illy Bag-in-a-Box Cold Brew eliminates the need for delivery and storage of heavy, space-consuming kegs. Bag-in-a-Box cold brew remains stable during nine months of ambient storage time and can be served for up to five days once the packaging is opened.